Particularly, in the US and some European States, the Israeli and Zionist versions of history are widespread. Israel’s narrative relies on a collection of myths aimed at bringing the moral right and the ethical behavior of the Palestinians into twilight and making their claim to their country appear as illegitimate. Israel’s negation of Palestinian existence in the Land of Palestine is, however, a falsification of history. “Ten Myths About Israel” came out in Germany in 2016 under the title “What’s wrong with Israel? 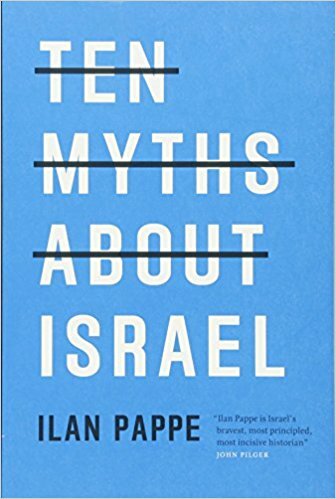 The Ten Main Myths of Zionism”. The mainstream media ignored it, which could also be the case in the US. It’s sad but that how media power works in favor of Israel.